Jim “Jimmy V” Valvano opened his famous ESPY speech by explaining three important things that people should do at least one time per day: laugh, think and cry. Jimmy V’s intention was to encourage us to explore the full range of emotions available to individuals under normal circumstances. Beyond the superficial, packaging design, branding and motivational speeches all share a common thread when viewed through the lens of behavioral science. Before the days when behavioral scientists applied their teachings to marketing, visionaries like Jimmy V understood the breadth of the human brain’s capacity. He preached tapping into its greatest aspects, such as experiencing true emotion, a hallmark of cognitive ability. The practice of exploring the use of emotion in packaging design is not a novel idea. It has tracked along the rise in popularity of using experiential marketing to leave long lasting, positive brand impressions in the minds of consumers. One of the best behavioral science methods to build brand or product loyalty, aside from repetition, is to create a connection between a positive memory and the desired object. Our brains work by encoding emotions into long-term storage at a faster rate than we are able to process occasional product names, attributes, or desires. To sell a commoditized product in a saturated market such as beer for example, brands often create experiential moments around the beverage in order to leave a long-lasting impression and positive association between the brew and the emotions felt during the time of first consumption. At the time of purchase, these emotions are recalled and used in creating weightings of the various product offerings on the store shelf. For packaging designers, this is a pivotal moment that must be captured. Famous consumer brands such Frito-Lay, Coca-Cola and Rice Krispies employ varying types of emotional activation in their packaging designs to drive enduring brand success. When one thinks of popular tortilla chip brands, Tostito’s often springs to mind, and for good reason. Evolving into such a well-known brand was not easy in the crowded market. Much of its success is attributed to the packaging design as well as the taste profile. Tostito’s packaging features clear windows so consumers see the texture of the product and uses subtle notions about parties and social gatherings to help cement the brand’s position as the go-to party snack. Recent designs feature bold claims such as “Party Size” and even incorporated images of a queso-like cheese dip that is now synonymous with parties and social gatherings. Chips and dips are served quantities, often consumed with friends and families at joyous gatherings such as birthday parties, sporting events, and even weddings. The nature of these events tie a physical location and product to a catalyst for happiness and positive memories associated with the product that cannot be unbundled into individual servings. When one is making a choice between Tostito’s, or a lesser-known store brand, positive emotional associations are more likely to influence the choice of the party centric packaging over the alternative brand. Coca-Cola’s legacy Coke soda can is iconic with its bright red design. Around the world, the can is known for bringing a pop, a fizz, and a happy memory to consumers. The red color used throughout the packaging mix of cans or bottles delves into the cognitive associations between colors and emotions that our brains encode through various normative applications. 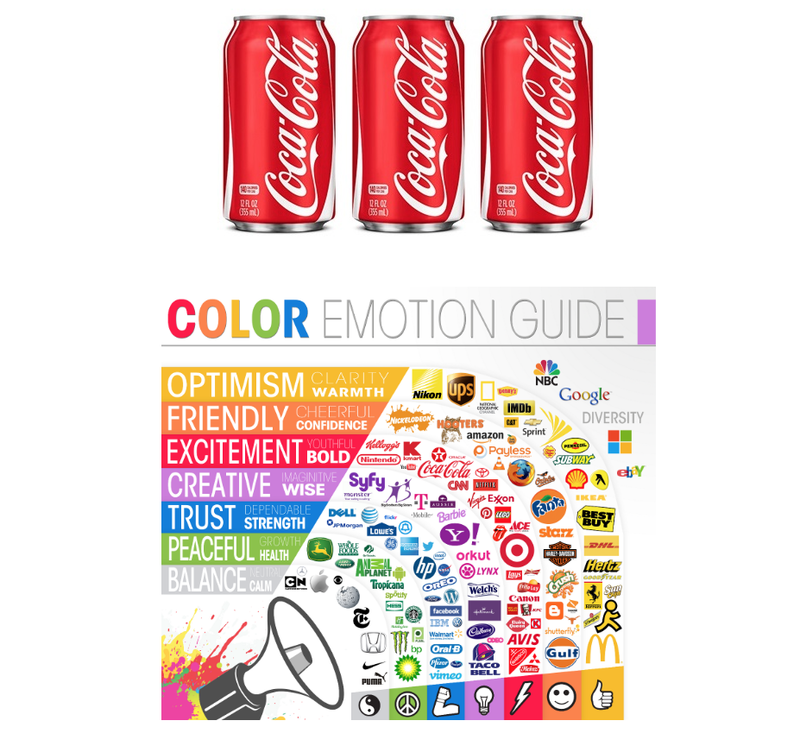 The color red almost universally elicits emotions of bold, daringness, and excitement- something that Coke capitalized throughout their entire marketing mix. Much of their TV and Digital campaigns support the emotional development of their packaging by leveraging narratives of excitement while being surrounded by friends and family. Unknown to consumers, these small emotions are accessed at the time of purchase. This connection between iconic color and positively encoded memories provides an advantage when it comes to a direct comparison between Coke and its other well-known competitor, Pepsi, which employs a different approach to design and aesthetic. Snap, Crackle, and Pop. 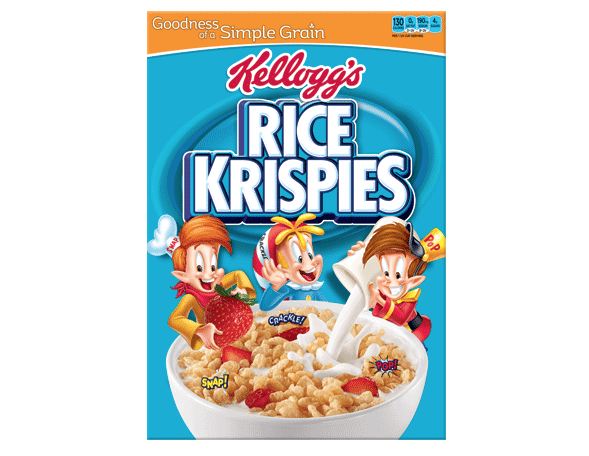 As soon as your eyes glanced over those words and your brain processes the association, there is a chance that you had some sort of vision of either Rice Krispies Treats or Rice Krispies cereal. Take a moment and think about those three words for another few seconds. Those familiar, nostalgic moments begin coursing into the brain, creating a warm glow of childhood memories. Consumers with childhood memories will appreciate the same slogan and characters that have been used across the product’s packaging since the 1930s. Purchasing cereal for the household, emotional appeals to nostalgic memories are used alongside health claims to entice consumers into making a purchase intended to provide delight beyond the stomach filling value. While there is a vast amount of neurological and behavioral scientific explorations into the topic, most consumers are aware of the impact that positive memories have on their choices. It is the strength and activation of these positive memories that brands rely on in the creation of attention grabbing packaging designs. Once the consumer focuses a gaze on the package, there are a few key seconds between the time spent viewing and selecting the package, and then moving on to another product. Successful designs, like the ones mentioned above, are able to elicit the emotional associations between the product and nostalgic memories. While products should not make consumers cry, Jimmy V’s message and the associations with packaging design are intended to demonstrate the importance of eliciting some sort of emotional valence, or extent to which the emotions are felt in order to provide intangible benefits to selecting the package itself. Incorporating emotions into packaging design begins with understanding the narrative view that consumers have created around the product and ends with a solid comprehension of how the product plays into their lives. Once this understanding is mastered, designers can elicit those associated emotions to guide choices based on maximizing happiness beyond the selection of a bag of chips.